Two-factor authentication adds additional security by requiring staff to present two forms of authentication before they can login to Comodo One. They need to enter their regular UN/PW + a unique code sent to their mobile device. Enabling the feature means all users on the account will be taken through the Two-Factor setup process the next time they login. Setup involves installing the Google Authenticator app on staff mobile devices. Each member of staff must pair their device with Comodo One to obtain the verification codes. Guidance on this is available in Pair an Authentication Device. To login, staff will enter a unique code generated by the app as well as their username and password. The verification code changes frequently. If allowed by an admin, staff have the option to disable two-factor authentication for future logins using their current browser. They will need to pass two-factor authentication again if they login using a different browser OR if they login from a different computer. "Do not ask again for this browser option" - If enabled, staff members will be allowed to disable two-factor checks on future visits from their current computer using their current browser. The option is offered after their first successful login. See Login using Two Factor Authentication for more details. Click 'OK' to setup the process now. Clicking 'OK' will log you out immediately and ask you to login again to continue the process. Admins and staff should pair their authentication device for two factor authentication when they login to Comodo One for the first time. Step 1 - Download the 'Google Authenticator' app and install it on your iOS or Android device. Open the 'Authenticator' app and tap the '+' icon'. Step 2 - Scan the QR code with the device camera. This will cause the Google app to generate the 6 digit code you need to complete pairing. 'I can't scan the QR code' - Click this to reveal the token if you cannot use the QR code. You should manually type the token into the Google Authenticator app. Step 3 – After completing steps 1 and 2, asix digit authentication code is generated in the Google app. This code changes frequently and is unique to your account. Enter the verification code in the field provided on the form. A success message is shown along with 10 backup codes. 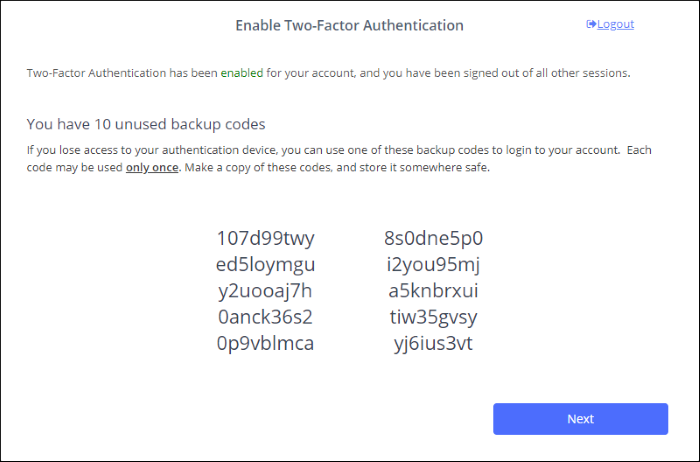 You can use the backup codes to complete two-factor authentication if you do not have the authentication device with you. Please make a copy of the codes. Each code can only be used once. Keep a copy of the backup codes on your system for logging-in when you don't have access to your authentication device. Click 'Login name' > 'Settings' > 'Two-Factor Authentication'. Click 'View Backup Codes' then 'Generate New Codes' at the bottom. Your old codes will expire after you have generated the new codes. For more details, see reset two-factor configuration and regenerate backup codes in the section Configuring C1 Settings. Click 'Next'. You will be logged in to your account. Two-factor authentication is now configured. 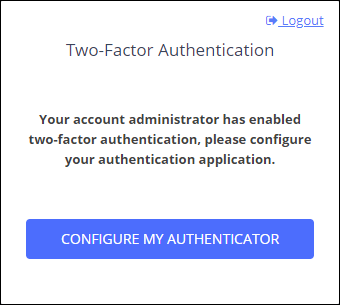 All users (new and existing) need to follow the two factor setup process described above the next time they login. 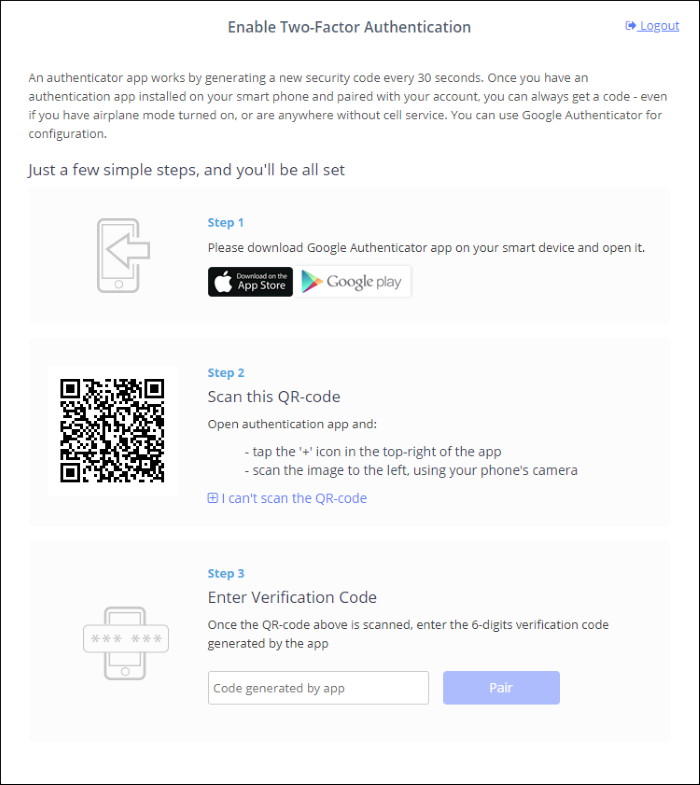 On all subsequent logins, users need to open the Google Authenticator app on their mobile device, collect their new verification code and enter it at the Comodo One verification screen. If the account admin resets two-factor authentication for a user, he/she will need to go through the setup process again. See 'Manage Admin and Staff' to find about resetting two-factor authentication. Enter Verification Code - Open the Google Authenticator app on your paired device and enter the displayed code. Please note that the code changes frequently. See earlier in this section if you have not yet paired your authentication device. Don't ask again for this browser - Select if you want to disable two factor authentication on future visits. 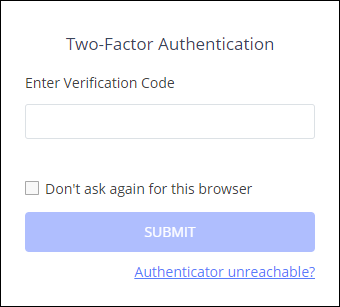 The two factor authentication dialog will not appear in future when using the current browser and endpoint. You will be asked for a verification code again if you login from another computer or if you login using a different browser. You will also be asked for a code if you clear your browser's history/cache. Note: 'Don't ask again for this browser' will only appear if enabled by an admin in 'Management' > 'Account' > 'Account Security Details'. 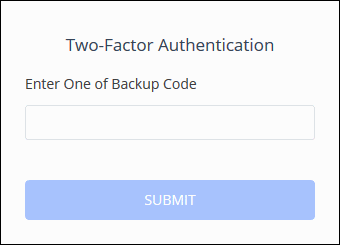 Comodo One Two Factor Authentication allows you to use your backup codes in case you do not have your authentication with you during a login attempt. After successful verification you will be logged into C1. See Reset two-factor configuration and regenerate backup codes in Configure C1 Settings for more details on backup codes.